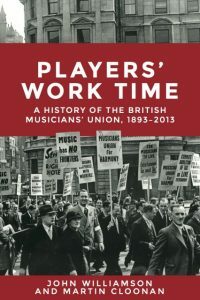 Players’ Work Time by John Williamson and Martin Cloonan was published by Manchester University Press in September 2016. It was launched with an event at Senate House in London on 7th September. It is now available from the publisher as a hardback, paperback and eBook.Other sellers can be found here.